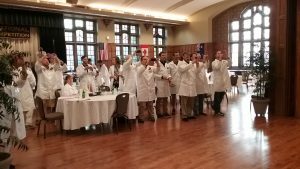 ‘I declare the 25th Olympiad of wine open!” announced Christian Butzke, Purdue University’s professor of enology. It was a timely witticism with the Olympics in Rio getting underway at the same time as the Indy International Wine Competition. Christian was chief wine judge and a magisterial and Monty Pythonesque M.C. at last week’s Indy. 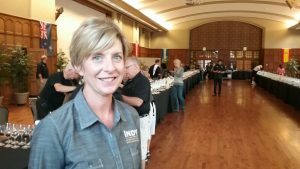 The more than 2000 wines entered into Indy revealed! But who drank the two empty bottles in the foreground? 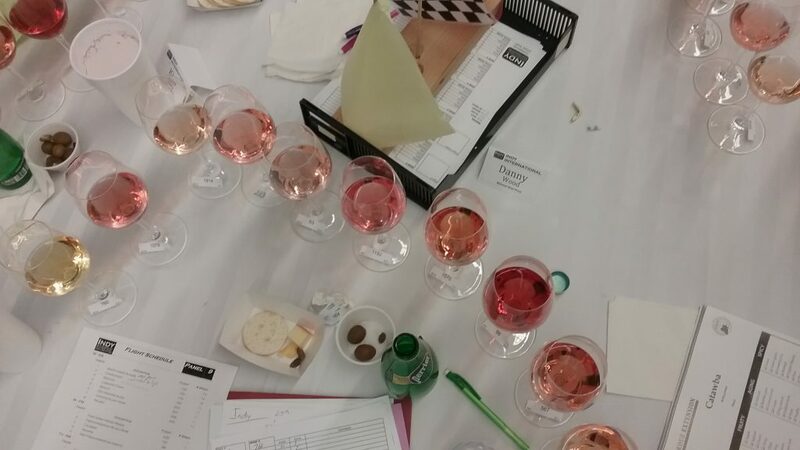 make great efforts to assemble a representative judging pool of winemakers, growers, enologists, chefs, sommeliers, distributors, retailers, consumers and wine writers. 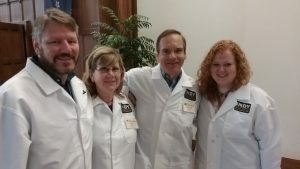 Midwest Wine Press was lucky to be there, together with about 50 other judges. 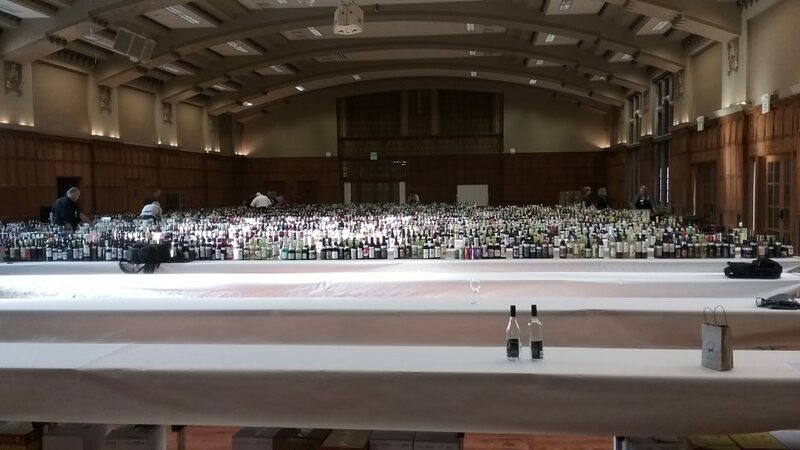 Over two days we smelt, sipped and spat (most of the time) our way through more than 2000 wines from about 10 countries and 40 US states. Hybrids and other grape varieties grown in the Midwest featured strongly, including current rising stars like Marquette and older classics like Catawba and La Crescent. There were also meads, dessert wines and a range of fruit wines. kind army of volunteers. The wine styles or varieties came in separate flights of up to about 12 glasses, with each competing wine labelled only with a number. We marked each wine for clarity, color, aroma, taste, aftertaste and an overall mark, for a maximum total of twenty points. 0-11 meant no medal, 12-14 a bronze, 15-17 silver and 18-20 gold. For each variety or style of wine there was also a Best of Class award for the best of all. 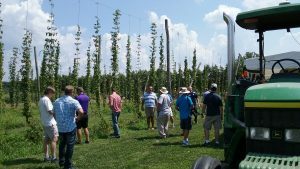 was especially masterful assessing Midwest grown varieties and picking that special characteristic that would set a particular glass apart from the rest. Bill Whiting, director of wine education for Banfi, could give that confident, articulate assessment of a wine that most of us can only dream of. Then there was, David Ebert, a Purdue professor of electrical and computer engineering specializing in a field called visual analytics — but also a wine expert, able to deploy his analytic skills on any flight of wine. For me, the La Crescents in our flight of white hybrids stood out, the Marquettes surprised for their full body and rich mouthfeel compared to a the few I’ve tasted in the past — and the meads and sherry style flights were also very tasty. The quality of the wines was generally very good. 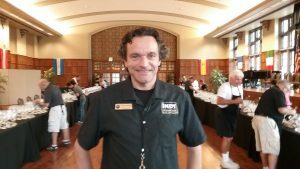 The full list of winners can be found on the Indy International Wine Competition website. 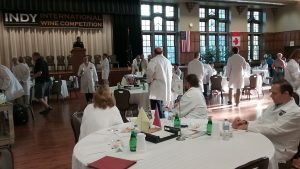 Thanks very much to Purdue’s Jill Blume, enology specialist and Christian Butzke, enology professor, for organizing such a well-run and fun wine competition — and for inviting and sponsoring MWP to attend. 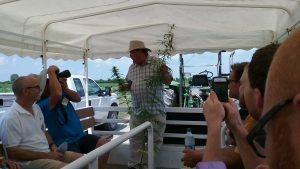 Previous story Winegrowing in Kansas: Vineyard Help Needed!